This Mini LED Lantern comes with a carrabiner to easily hang from a string line, tree branch, or inside a tent. Its compact size allows it to store easily (only 6.5" tall). Extremely safe for use indoors and makes a great night light for children. Wind 'N Go advertises that winding for 1 minute gives you about 1 hour of light! We put this lantern to the test and have found that Wind 'N Go has made some improvements on the battery. It lasted at least 4 to 5 hours or so until it needed an additional minute of winding. 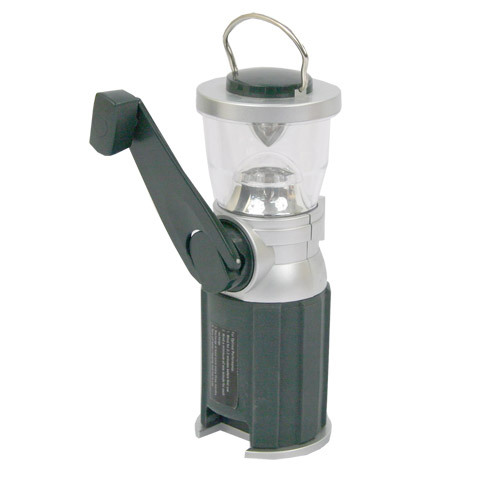 It is a great compact lantern for a variety of uses! The price for this little lantern is $17.95 at survivalsuperstore.com.